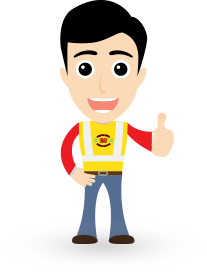 One of our highly skilled members of staff will help you unload your vehicle and sort your metal into the correct grades. Next, we will need photo I.D and proof of address from yourself so we can accept your metal, this is now the law so every scrap yard is the same. We can accept photo I.D such as your drivers license or passport and a recent utility bill. After calculating the best price possible for your scrap metal we can then instantly transfer the money into your bank account or issue you with a cheque. We will also issue you with a waste transfer notice.